Handmade beaded neckalce shaped like a convex semicircle was created my original design to highlight the tribal, boheminan , ethnic and hippie style. It is made of natural materials (semiprecious stones) whose texture highlights the beauty of the necklace makes it unique. The time required for manufacturing the set was approximately 1.40 hours of work. The price is available on request. 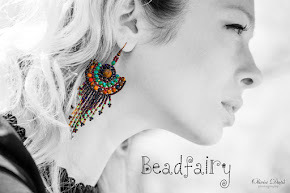 Please e-mail at simona.corlateanu@gmail.com or a Facebook message at BeadfairyBeadwork with the name or the link of the selected product. Me encanta!! Es muy original y con esa combinación de colores...queda especial.